SEATTLE — Amanda Bratton has always loved the feeling of water. As a child, one of Amanda’s favorite activities was to submerge herself underwater to see how deep she could swim. The deeper she got, the more comfortable she felt. On the surface, her parents and the lifeguards on duty would often worry as she held herself underwater. However, she knew she was destined for a life in the water from the moment she experienced it. Amanda was born with Complex Partial Seizure Disorder, also known as epilepsy. Although her epilepsy has been controlled through medication, the notion that Amanda may at any time experience a seizure while performing in the sport she fell in love with has always been in the back of her parents’ minds. Despite some of her worries, Cristy Bratton, Amanda’s mother, believes that the joy Amanda receives in swimming far outweighs the negative possibilities. And her love for the sport as well as her incredible success has only grown since her beginnings in competitive swimming at 11 years old. Over the past 14 years, Amanda has achieved top marks in various high school and collegiate competitions. Her proudest accomplishments, though, came when she won the gold in the 200-yard individual medley and 100-yard freestyle at the 2014 Special Olympics USA Games. To reach the pinnacle of success and earn a gold medal required an immense amount of work and dedication. Her ability to walk into a race without fear or nervousness allowed Amanda to compete with tenacity and focus. 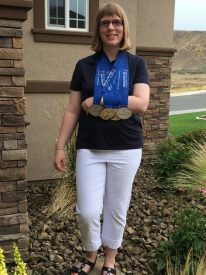 Amanda’s dedication to swimming is unparalleled – she lives for it and winning events has long brought her feelings of happiness and accomplishment. A perfect example of Amanda’s ambitious character and strong will came in her first year of competitive swimming. Around Valentine’s Day, Amanda broke her collarbone and was told she would most likely need to sit out of the remaining competition. Despite the intense pain radiating from her shoulder, Amanda still opted to compete later that year — she has never been one to back down. Her dedication to her sport is unwavering. For nearly a decade and a half, Amanda has kept a steady practice and cardio routine to stay both competitive and in shape. Growing up, Amanda was inspired by her dad, Wes Bratton, who competed in both high school and college swimming. Wes is still an avid swimmer and currently competes at the Masters level, a league that combines a wide age-range of swimmers into one competition. When Amanda visits home in Seattle, her dad also helps her plan and practice, creating a foundation for the success she still utilizes. While the inspiration instilled in her through her parents has directed her onto the path towards success, another familial connection has motivated her to compete harder and perform her best. Amanda’s younger sister, Lisa Bratton, currently holds an athletic scholarship for swimming at Texas A&M. Amanda and her sister have always competed against each other, inspiring and motivating each other to always give it they’re all. 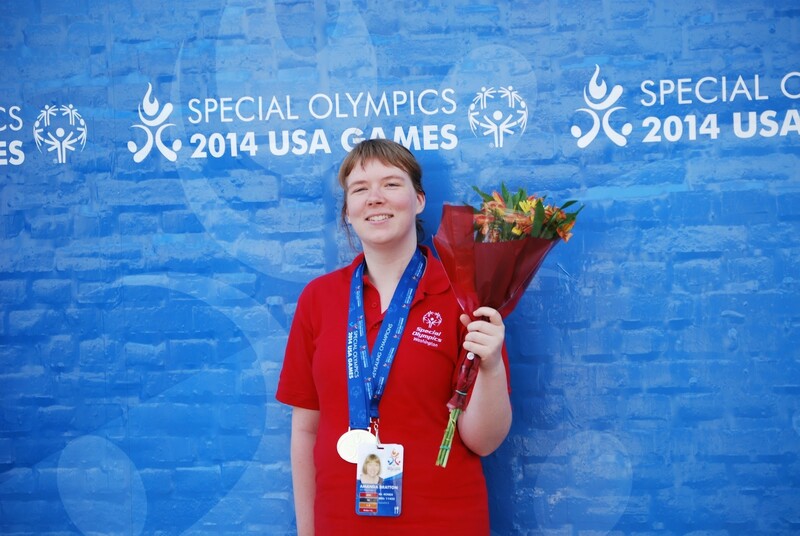 Growing up with the friendly competition against her sister prepared Amanda for the atmosphere of Special Olympics. Amanda describes the environment as “relaxed,” and “friendly”. 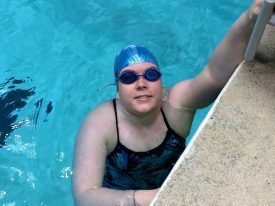 Although she becomes instantly focused and determined once in the pool, she has a knack for remaining calm and collected – mirroring the environment at Special Olympics. Her mother describes Special Olympics as an amazing place, an “area where anyone can compete and have fun in.” On top of this welcoming atmosphere, at the end of the two-day event, competitors are invited to a dance in celebration for their accomplishments. The competitions are run by volunteers who hope to provide athletes a rewarding and competitive experience. Nonetheless, all participants are accomplished at Special Olympics, both for their incredible feats in their sport as well as their happiness to share the joy of competition.